Landmark Partners has made a number of promotions across its private equity and real estate investment teams. Kathryn Regan, who has been in the private equity team since 1999, was promoted to partner, according to a statement from the Simsbury-headquartered firm. Regan’s areas of responsibility include portfolio acquisitions, fund recapitalisations and primary commitments. 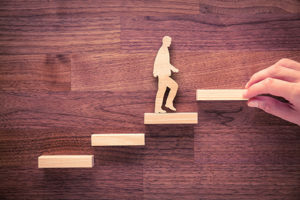 John Stott, a private equity-focused professional who ranked 18th in Secondaries Investor‘s Young Guns of Secondaries list last year, was promoted to managing director. Greg Lombardi, a member of the real estate team focused on investor relations and business development, becomes an MD. Three investment professionals were made directors, William Smalley in the private equity team, and Quentin Kruel and Gina Spiegel in the real estate team. These were among 31 promotions across the private equity, real estate, quantitative research, and finance and operations groups. Landmark is investing its 16th flagship private equity secondaries vehicle, which closed in October on $7 billion including co-investment capital. The firm has backed several large single-asset transactions, including processes involving PAI Partners‘ 2005-vintage Fund IV and TDR Capital‘s 2007-vintage buyout fund, as Secondaries Investor reported. Landmark Real Estate Fund VIII closed in April on $3.3 billion, Secondaries Investor reported, making it the largest real estate secondaries fund yet raised. The firm has more than 100 professionals across offices in Simsbury, Boston, Dallas, London and New York. It had around $27 billion in committed capital as of September, according to the statement.